After a misguided and unremarkable second episode, which is typically far more forgivable with a normal series but with a limited run of only 8 installments time is of the essence to tell a good story, the FX original series Taboo came back with a much improved third week. - My god, how refreshing to have an episode that seems to actually be telling a story after that nonsensical second episode? I am certainly far more intrigued and invested in what is going to happen next now. - On the other hand, we are nearly halfway down with the entire show and I am still waiting for that "wow" moment that feels like it is coming, but I am losing a little bit of faith. I keep thinking this show has the components to put it all together and deliver an episode that stays with the audience long term, a reason to remember Taboo as a whole, but it just hasn't happened yet. - To be fair though, even without the "wow", a show can still be worth watching. 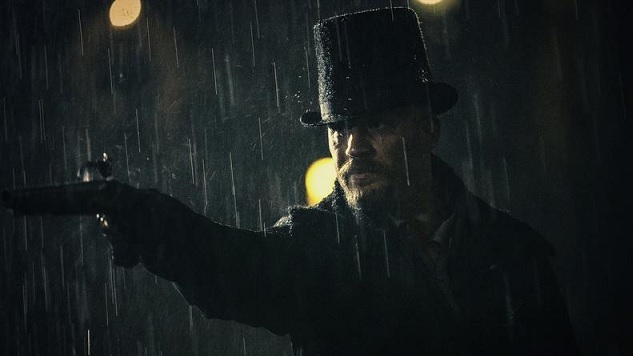 I still feel like Taboo has been worth watching, maybe just for the performances and leading presence of Tom Hardy. It's only disappointment it isn't more than just being worth watching because there is too much talent involved here to be so lackluster. - Last week I wrote that I was hoping the third episode would be the moment this whole thing turns around. It wasn't quite that, but it's enough of an improvement to keep the hope alive.